In this quick article, we will learn Java if statement and different types of if statement in Java, which is used to test the condition. It checks boolean condition: true or false. 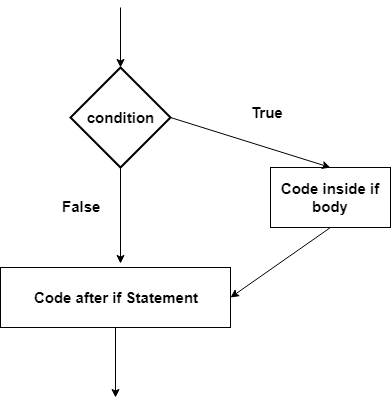 There are various types of if statement in java. The Java if statement tests the condition. It executes the if block if a condition is true. Here, if statement may be a single statement or a compound statement enclosed in curly braces (that is, a block). The statements get executed only when the given condition is true. 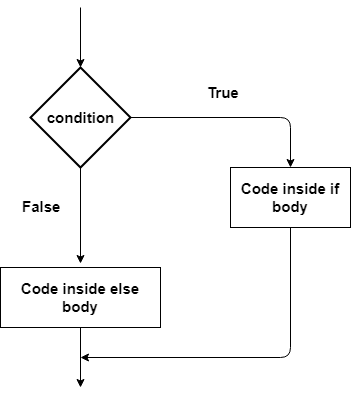 If the condition is false then the statements inside if statement body is completely ignored. 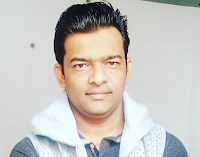 When there is an if statement inside another if statement then it is called the nested if statement. The Java if-else statement also tests the condition. It executes the if block if a condition is true otherwise else block, is executed. Here, each statement may be a single statement or a compound statement enclosed in curly braces (that is, a block). The condition is an expression that returns a boolean value. The if works like this: If the condition is true, then statement1 is executed. Otherwise, statement2 (if it exists) is executed. The following program, IfElseDemo, assigns a grade based on the value of a test score: an A for a score of 90% or above, a B for a score of 80% or above, and so on. Note that the value of test score can satisfy more than one expression in the compound statement: 76 >= 70 and 76 >= 60. However, once a condition is satisfied, the appropriate statements are executed (grade = 'C';) and the remaining conditions are not evaluated. A common programming construct that is based upon a sequence of nested ifs is the if-else-if ladder. The if statements are executed from the top down. As soon as one of the conditions controlling the if is true, the statement associated with that if is executed, and the rest of the ladder is bypassed. If none of the conditions is true, then the final else statement will be executed. The final else acts as a default condition; that is, if all other conditional tests fail, then the last else statement is performed. If there is no final else and all other conditions are false, then no action will take place. Here is a program that uses an if-else-if ladder to determine which season a particular month is in. April is in the Spring.